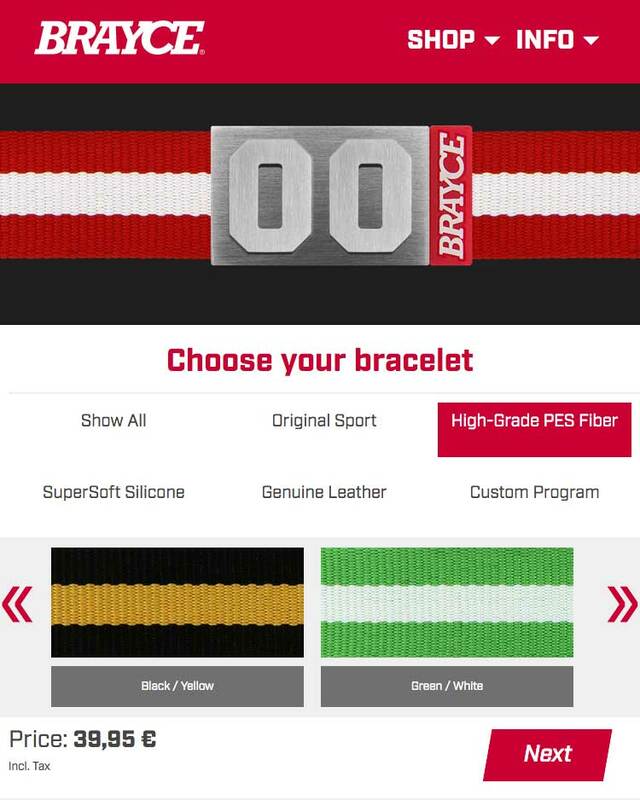 We at BRAYCE® attache particular importance to high-quality materials and careful workmanship regarding to every single sports bracelet. The materials are carefully selected to offer you the highest quality with your new sports jewelry. 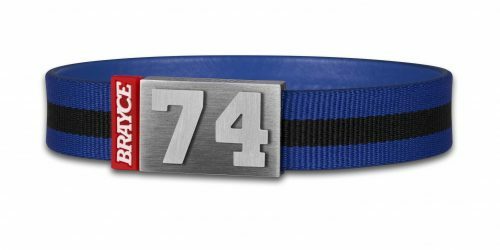 For example, our high-grade PES fiber bracelet blue, white and black has a finely woven polyester top for a great, high-quality look and a sweat-absorbing underside for exceptional wearing comfort. 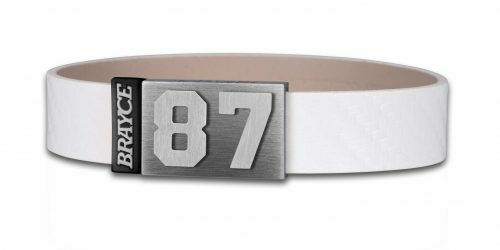 Our BRAYCE® sports bracelet looks particularly elegant and modern, offers maximum wearing comfort and does not complain even if you just lie on the sofa. 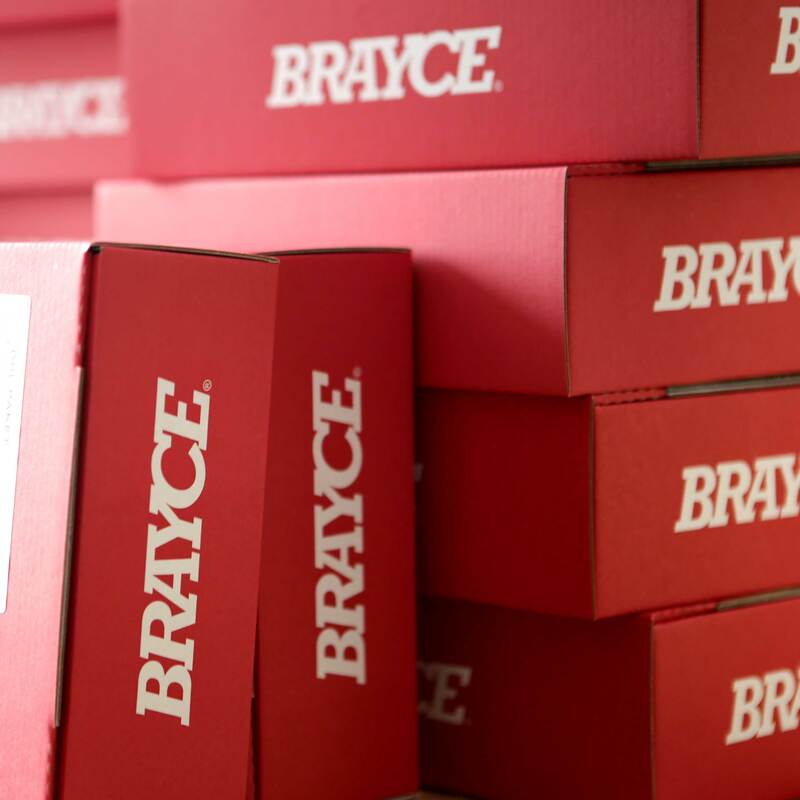 BRAYCE® has no fitness tracking or smart watch functions. 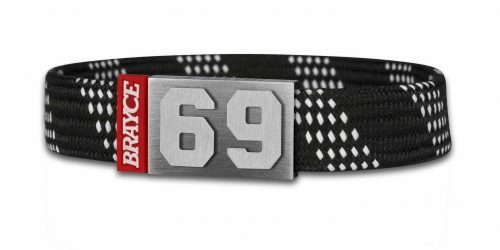 Instead of these functions, we at BRAYCE® offer you style, wearing comfort and quality – this sports bracelet is your very personal sports jewelry, that makes your look extraordinary! First of all, visit our online configurator. 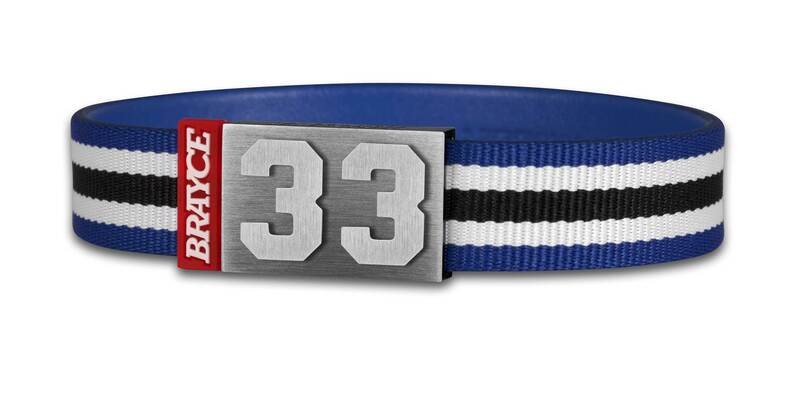 This innovative tool makes it possible to choose from a large selection of different bracelet styles, but you can also specify your personal player number. 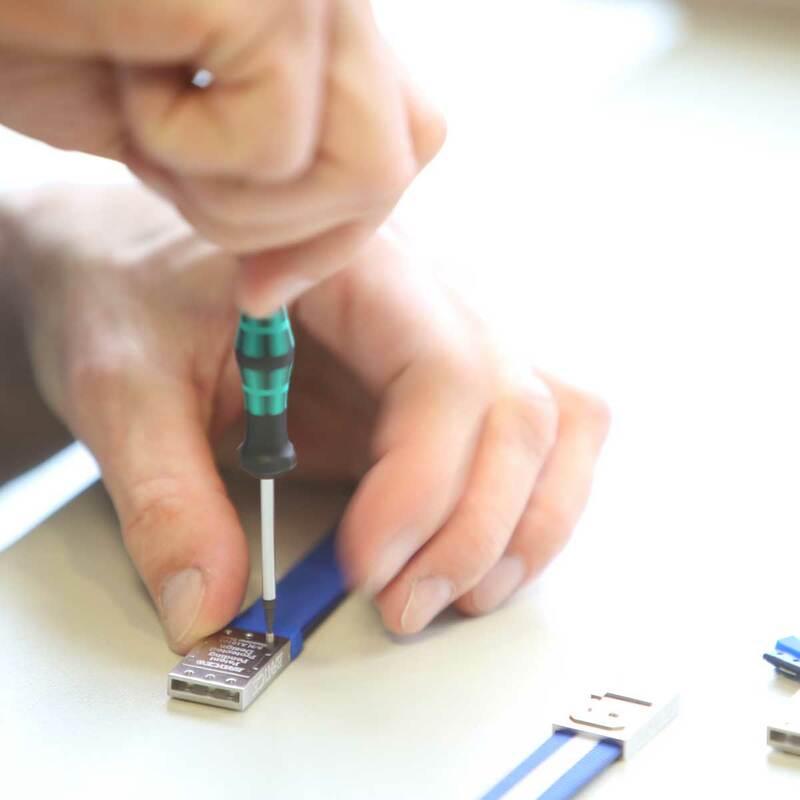 In the last step, you determine exactly the right size for your sports bracelet with the help of our size guide. Our large selection of club colors does not yet have the right thing for you? 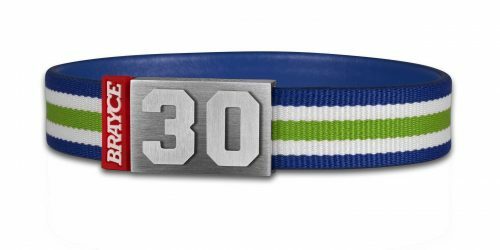 You’re looking for a sports bracelet for the players and fans of your club? 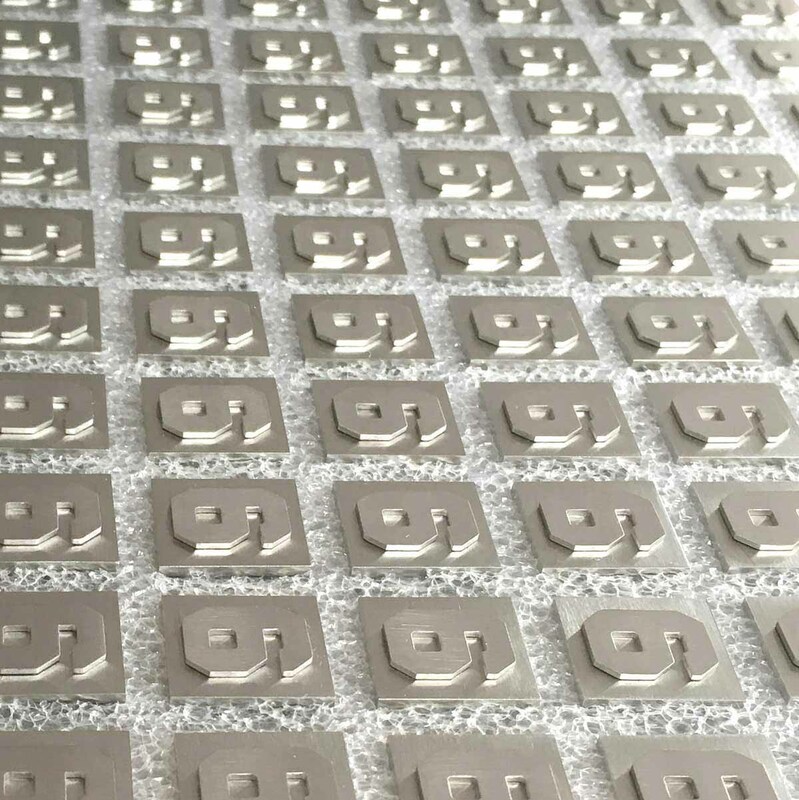 We at BRAYCE® proudly present our Custom Program! 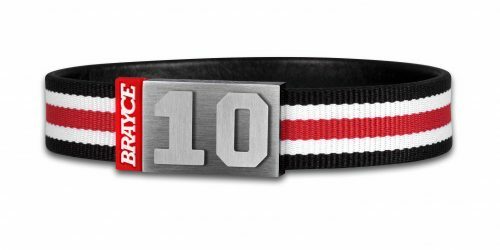 We would love to design your own club-BRAYCE®! 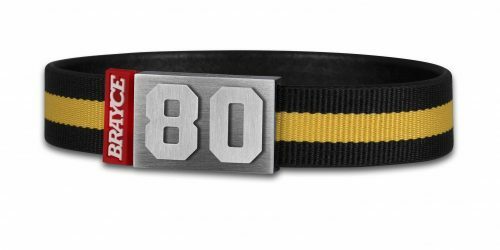 Just check our original NHL bracelets like Pittsburgh Penguins, Vegas Golden Knights, Chicago Blackhawks, Boston Bruins oder Toronto Maple Leafs and get inspired! 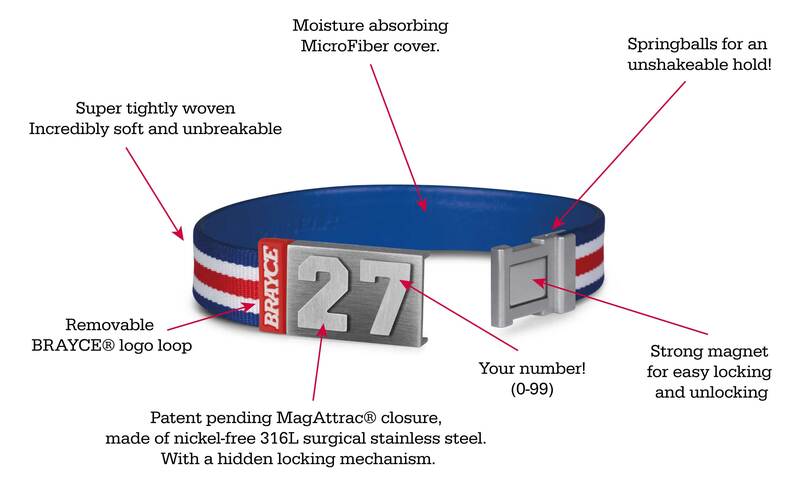 With your sports bracelet you will not only receive absolutely trendy sports jewelry that is individually tailored to you as a player or fan, you will also receive a product that is produced 100% under fair and sustainable conditions: We at BRAYCE® team attache great importance to a flawless production chain, including that we do not tolerate child labour or forced labour, abuse or harassment at the workplace.